I'll be doing a bit of speaking on both coasts. First, here in the PacNW, I'll be helping the Woodinville Library kick off their amazing Second Saturdays writing program on September 12 with a seminar on Planning Your Writing Year. It's free and you can register HERE. 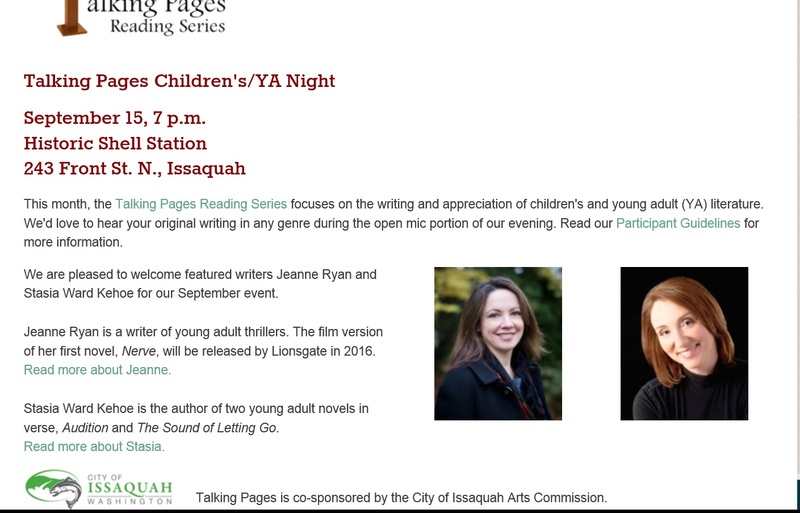 Then, I'll be joining the delightful Jeanne Ryan for Talking Pages Children's/YA Night on September 15 in Issaquah, to discuss Unlikable Protagonists in YA. More info HERE. Finally, I hop a flight to Boston, MA, for the Boston Teen Author Festival at the Cambridge Public Library. 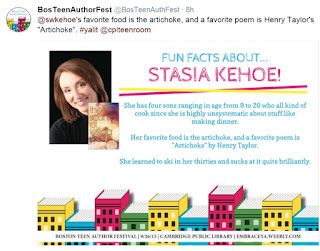 That one is on Saturday, September 26, and I'll be on a panel entitled Reality Bites along with Jessica Brody, Lance Rubin and some other awesome authors. Details (beyond my affinity for artichokes) can be found HERE.